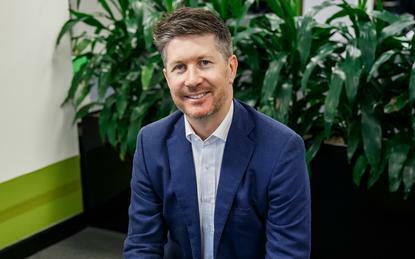 Australian IT services company eNerds has launched a software-as-a-service (SaaS) start-up, spinning off from the main brand to target managed service providers (MSP) across the world. Under the banner of Invarosoft, the new business serves a brand new category across the channel, zoning in on Client Portal Software. Specifically, the start-up offers IT providers, MSPs and IT departments a front-end application designed to “super-charge” ticketing or professional services automation (PSA) back-end capabilities. Delivered through ITSupportPanel, ITNewsPanel and ITAppsPanel features, Invarosoft - which taps into Autotask and ConnectWise ecosystems - aims to provide increased support experience for MSPs, aiding business profitability in the process. “We decided to commercialise the internal IP of eNerds to solve a problem we felt wasn’t being solved by the available tools in the market,” Invarosoft CEO Jamie Warner told ARN. “The problem was that the PSA, remote monitoring and management (RMM), documentation and dashboard tools were all focused on the MSP – not the end-user. Consequently, Warner and his team built ITSupportPanel, enabling the end-user to view a streamlined IT portal across Windows, Mac, iOS and Android platforms. “No more confusion, no username or password, just an easy to find IT button to get access to support, news, feedback and apps,” added Warner, who said the feature help reduce in-bound support calls by 50 per cent. Alongside improved satisfaction levels among customers, Warner said added benefits also include increased capacity for engineers to carry out billable hours, rather than spending time completing the admin work associated to logging a ticket. After launching eNerds in 2000, Warner remain challenged to brand his services and improve productivity, leading to the creation of an internal product in 2009. With an early version of ITSupportPanel born 12 months later, the new platform enabled end-users access to a streamlined branded portal, spanning IT support and ticket logs, as well as feedback and news reading capabilities. Through using ITSupportPanel internally, Warner doubled the size of eNerds organically, sprouting to over 40 staff and more than $7 million in revenue. Warner began commercialising the product in 2014, taking three years to build before launching in 2017. “Most of our MSP competitors used the same great below-the-line PSA, RMM and documentation tools, but nothing to provide on-going value for end-users,” Warner explained. From an MSP perspective, Warner said the providers can increase profits by charging for the software, alongside retrieving lost capacity internally. “We allow MSPs to differentiate themselves by using it as their IP to win new monthly support business,” Warner added. Headed by Warner, the team also comprises of Jessica Ross; Dean Turnbull; Greg Krzeszkowski and Vivian Zhu, as vice presidents of sales, cloud, engineering and finance respectively. “We’re global from day one,” added Warner, with MSPs from across the globe already trialling the product.